the nitenpyram, with the cas registry number 150824-47-8, has the systematic name of (e)-n-[(6-chloropyridin-3-yl)methyl]-n-ethyl-n'-methyl-2-nitroethene-1,1-diamine. it belongs to the following product categories: na - nipesticides; alpha sort; insecticides; n; nicotinoids; n-palphabetic; pesticides & metabolites. and the molecular formula of the chemical is c11h15cln4o2. what's more, it should be stored at 0-6°c. besides, it is an neonicotinoid insecticides used in agriculture and veterinary medicine to kill insect external parasites of livestock and pets. the physical properties of nitenpyram are as followings: (1)acd/logp: 1.90; (2)# of rule of 5 violations: 0; (3)acd/logd (ph 5.5): 1.9; (4)acd/logd (ph 7.4): 1.9; (5)acd/bcf (ph 5.5): 16.44; (6)acd/bcf (ph 7.4): 16.46; (7)acd/koc (ph 5.5): 258.17; (8)acd/koc (ph 7.4): 258.4; (9)#h bond acceptors: 6; (10)#h bond donors: 1; (11)#freely rotating bonds: 6; (12)polar surface area: 65.19 å2; (13)index of refraction: 1.567; (14)molar refractivity: 70.55 cm3; (15)molar volume: 215.7 cm3; (16)polarizability: 27.97×10-24cm3; (17)surface tension: 48.2 dyne/cm; (18)density: 1.254 g/cm3; (19)flash point: 206.1 °c; (20)enthalpy of vaporization: 67.05 kj/mol; (21)boiling point: 417.2 °c at 760 mmhg; (22)vapour pressure: 3.61e-07 mmhg at 25°c. 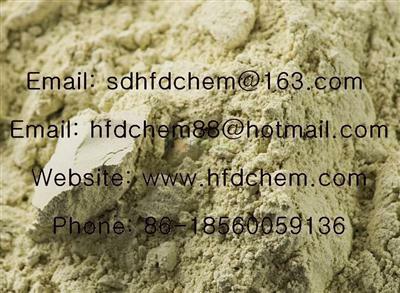 synthesis method: add n-ethyl-2-chloro-s-pyridyl methyl amine in alcohol into the mixed solution of 1,1-dimethyl sulfur-2-nitroethylene and ethanol, you can get the intermediate. heat the intermediate, methylamine water solution and alcohol, after a series of reaction, you can get the product. you should be cautious while dealing with this chemical. it irritates to eyes, respiratory system and skin, and it is also harmful if swallowed. therefore, you had better take the following instructions: wear suitable protective clothing, and in case of contacting with eyes, rinse immediately with plenty of water and seek medical advice.